2019 Membership renewals are due now. 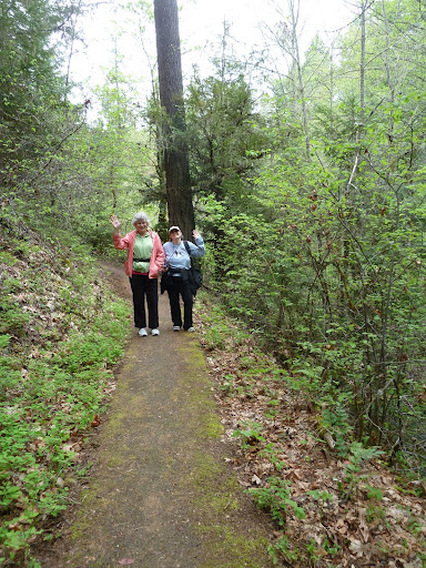 Our club sponsors 2+ local walks per month at various locations around the valley plus one biennial three-day event, Rogue Valley Riches which attracts walkers from all over the Northwest. There are also well over 100 other events in Oregon and more than 1000 events around the US through our affiliation with American Volkssport Association. Come join us for some walking! Everyone is welcome! Most walks are easy, flat, and suitable for strollers and well behaved dogs on a leash. Walk at your own pace - with the group or on your own. 5k or 10k? It's up to you! You don't have to be a member to join us. Just show up at the meeting point, sign in...and walk! Become a member to support local walking! Your membership gives you access to special announcements, invitations to social events and an opportunity to have a say in the types of events and walking routes we do. Our annual membership meeting is held each June for the purpose of electing officers, providing feedback on club activities, and brainstorming new ideas.